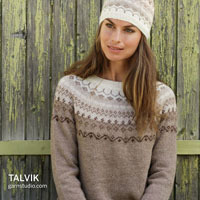 Go to original pattern for design DROPS Extra 0-1194. 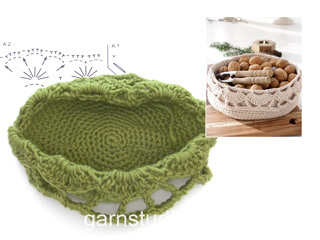 DROPS Christmas: Crochet DROPS basket with fan pattern in 2 strands “Belle”. 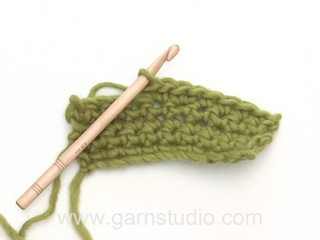 DROPS CROCHET Hook size 5 mm / H/8 – or size needed to get 15 sc x 16 rows with 2 strands = 4'' x 4'' (10 x 10 cm). 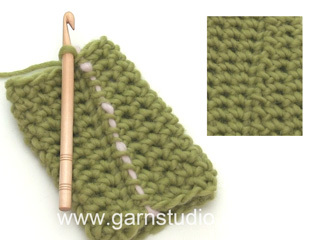 You can get the yarn to make this pattern from	12.60$. Read more. See diagrams A.1 and A.2. Diagram A.1 shows how round beg and ends. Work A.2 6 times in total on round. Replace first sc at beg of every sc round with 1 ch. Finish round with 1 sl st in first ch at beg of round. Beg every round beg with sc, with 1 ch (this does not replace first sc) and finish with 1 sl st in first ch from beg of round. The piece is worked in the round from bottom up. 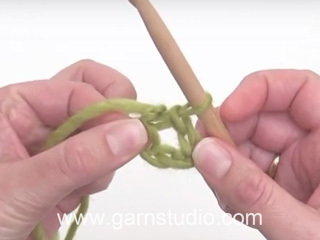 Work 4 ch on hook size 5 mm / H/8 with 2 strands Belle and form a ring with 1 sl st in first ch. ROUND 1: READ CROCHET INFO-1. Work 6 sc in ch-ring. ROUND 2: Work 2 sc in every sc = 12 sc. ROUND 3: Work * 1 sc in first/next sc, 2 sc in next sc *, repeat from *-* the entire round = 18 sc. REMEMBER THE CROCHET GAUGE! ROUND 4: Work * 1 sc in each of the first/next 2 sc, 2 sc in next sc *, repeat from *-* the entire round = 24 sc. ROUND 5: Work * 1 sc in each of the first/next 3 sc, 2 sc in next sc *, repeat from *-* the entire round = 30 sc. ROUND 6: Work * 1 sc in each of the first/next 4 sc, 2 sc in next sc *, repeat from *-* the entire round = 36 sc. Then work 1 sc more between inc until 16 rounds have been worked = 96 sc. Bottom measures approx. 20 cm / 8'' in diameter. NOW MEASURE PIECE FROM HERE! 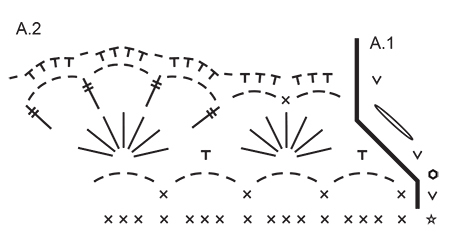 Now work the side of basket as follows: Work 1 sc in every sc until piece measures approx. 10 cm / 4''. Turn piece to work in opposite direction (this is done because the edge is folded outwards, and the pattern will be on RS). ROUND 1: Work 1 ch (does not replace first sc), * 1 sc in first/next sc, ch 4, skip 3 sc *, repeat from *-* the entire round, finish with 1 sl st in first ch from beg of round, work 2 sl sts around first ch-space = 24 sc and 24 ch-spaces. ROUND 2: READ CROCHET INFO-2. Work * 1 sc around first/next ch-space, 7 tr around next ch-space *, repeat from *-* 12 times in total = 12 tr groups and 12 sc. ROUND 3: Work 4 ch (replace last tr at end of round), * ch 3, skip 3 tr, 1 sc in next tr, ch 3, skip 3 tr, 1 tr in next tr, ch 4, skip 1 tr, 1 tr in next tr, ch 4, skip 1 tr, 1 tr in next tr, ch 4, skip 1 tr, 1 tr in next tr *, repeat from *-* 6 times in total, finish round with 1 sl st in 4th ch at beg of round = 24 tr, 6 sc and 30 ch-space. ROUND 4: Work * 3 sc around each of the first/next 2 ch-spaces, ch 1, 4 sc around next ch-space, ch 1, 4 sc next ch-space, ch 1, 4 sc around next ch-space, 1 ch *, repeat from *-* 6 times in total = 108 sc and 24 ch. Fasten off. Fold the edge outwards. = 4 ch at beg of round (replace last tr at end of round), finish round with 1 sl st in 4th ch at beg of round. Buongiorno! Volevo lavorare questo cestino e per renderlo più natalizio vorrei usare anche un filo di glitter insieme al belle: si può fare? Un'altra domanda: le misure date sono prima o dopo il lavaggio (perché si può lavare il cestino, giusto?)? Grazie! Buongiorno Dina. Può aggiungere un filo glitter senza problema e senza che questo comporti variazioni nella tensione e nella misura dell'uncinetto da usare. Le misure vengono date prima del lavaggio. Buon lavoro! Hoi Emma. Ja, het patroon zou correct moeten zijn. Heb je al de video gezien van hoe je de mand haakt? Bonjour Myriam, la corbeille se crochète entièrement avec 2 fils (= fil en double) sur la base d'un échantillon de 15 ms x 16 rangs = 10 x 10 cm. Bon crochet! Bonjour Isabelle, la corbeille se crochète avec 2 fils du groupe B (fil Belle en double) - alors que Paris est du groupe C - calculez ici la quantité nécessaire en Paris - les dimensions s'en trouveraient affectées car la tension serait différente. 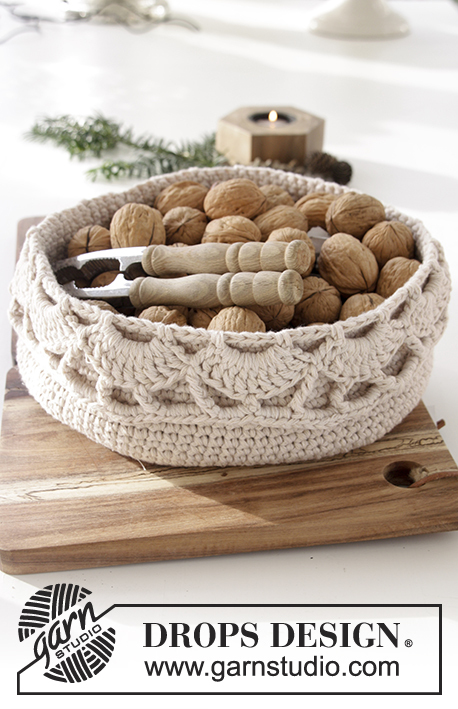 Bon crochet! It's a lovely pattern and I can't wait to crochet it but I do think it is written in American crochet terms and not British. Am I confused? Thanks! Dear Marie, check that you choose the correct language by clicking on the arrow over "English(US/in)" or here to get the pattern in US-English. Happy crocheting!